Happy New Year Darlings!!! I know I am late, but ya'll know it takes me a while to get back into the swing of things. I hope everyone had a beautiful Christmas holiday and New Year! Mine was quite restful and relaxing, just what the doctor ordered. For those of you who were wondering, Pop is doing wonderfully and was very excited to see Little Miss Naomi for Christmas. She had her run of the place and the rest of us were just following orders all Christmas long. My favorite part of the trip was visiting King of Prussia shopping mall about an hour south of Harrisburg. Since the first time I visited Pop, anticipation had been growing to visit this massive shopping mecca and I finally got to go. Trust me it did not disappoint, that place is huge and any and every store that you might want is there. As soon as I walked in I spotted a Tourneau store and was able to get my watch (below left) fixed for free because it was still under warranty! My Christmas Presents! 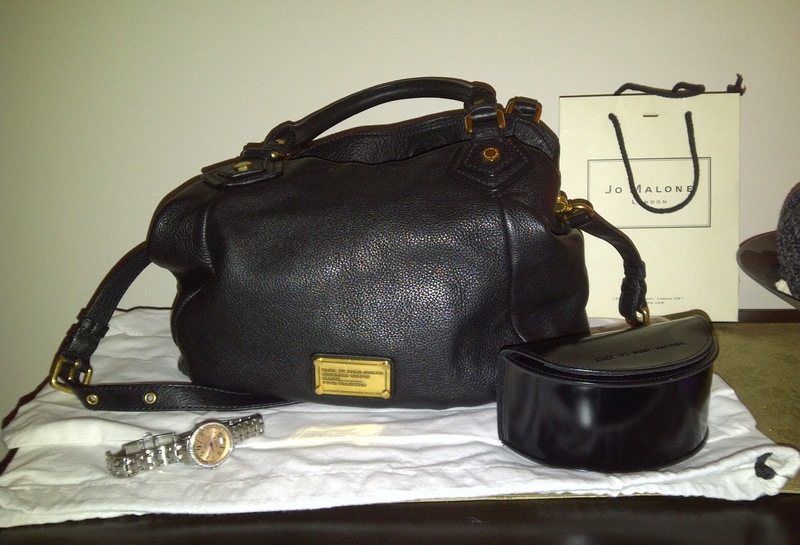 The Marc by Marc Jacobs Classic Q Francesca Tote...there are no words to describe my elation. I had been obsessing over this bag for a while and could barely contain myself as I was walking out of Bloomingdale's! My Hunny also got me another pair of MbMJ sunnies that I am saving for our trip to Mexico in August!!! He is so wonderful to me! 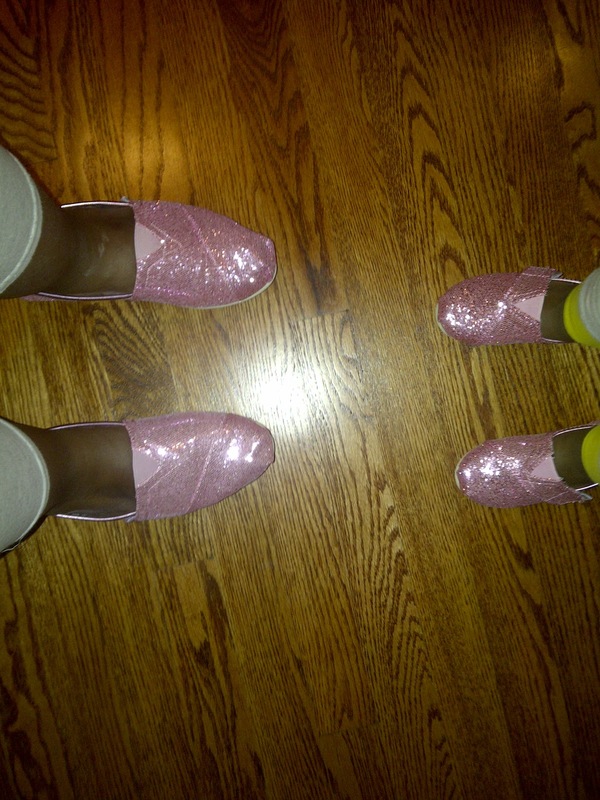 My mini-Me and I also got matching TOMS. They are pink and sparkly!! I need something to wear while keeping up with this chic, so why not make them fun and pretty!! Just like my Baby Girl!! So I must say that I had a wonderful break and am glad to be back at it with the start of another year! It's gonna be a good one folks!!! hi, jasmine! i'm jasmine also. :) your blog is so pretty! love your new blog. :) i'm a mommy blogger also... and i had fun looking at your blog. :) new follower here on google, and hope we can inspire each other! have a great day!